Spanning 24 hours a day, seven days a week, 365 days a year, the sun never sets for Meridian IT. “We go where our clients take us, working in close partnerships to facilitate and deliver the best results,” said Stephen White, managing director of Meridian IT, when outlining the benefits of occupying a global technology provider footprint. 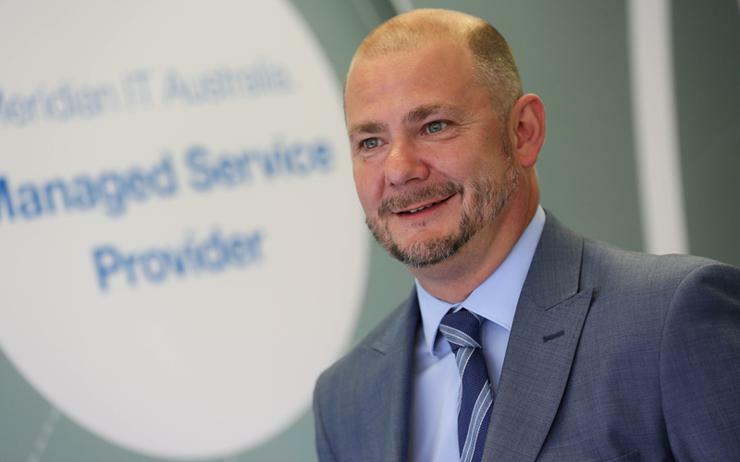 As customers seek greater control over IT spend, the business is well positioned to capitalise at both local and global levels, leveraging an Australian reputation, bolstered by worldwide capabilities. “It’s advantageous to have a partner like Meridian in each geography that can assist with the local needs and has the ability to cover international needs as well,” White added. The shift in approach comes four years after Tardis, one of the country’s leading IT systems integrators and prominent IBM partner, rebranded to Meridian IT, following its acquisition by Meridian Group International in 2007. Designed to align local operations with global strategies, the move has helped the business advance to the next level in terms of customer adoption, with the provider edging towards a vendor agnostic market approach. And the approach has paid off, with Meridian now recognised as leading experts across Cisco, Dell EMC, HP, Hewlett Packard Enterprise, Microsoft, Citrix, Lenovo, Sophos, NetApp, Nutanix, Veeam and VMware technologies, alongside its core heritage through IBM. “We take a consultative approach to ‘discover’ and transform our assessments into business solutions using ICT expertise across four core competencies,” White explained. Specifically, such competencies include data centre and unified workspace, alongside security and risk management, plus cloud solutions. “As a large global entity, our clients have access to a wide range of solutions and services along with a variety of consumption and deployment options,” White added. In selecting vendors based on the company’s four core competencies, White said that once a technology decision is made, Meridian ramps up investment levels to retain elite accreditations, delivering customer- centric solutions as a result. “There are many technologies that are key to our business today and no doubt new technologies that will hit the market over the coming years, however taking a services-first approach to our clients, ensures we remain vendor neutral and focus on the client outcome/deliverable,” White added. From a technology perspective, the Sydney-based provider offers services around back-up, storage and infrastructure, as well as endpoint management, business intelligence and disaster recovery. Crucial to this strategy is vendor selection, but in services world, a balance remains. “A channel friendly vendor ensures they have a clear channel strategy and execute 100 per cent on that strategy,” White advised. “In addition to best of breed technologies, joint account planning, joint sales calls and joint marketing plans are essential to true partnerships. With a wide-ranging technology portfolio in place, the company continued expansion plans through the recent hire of Louise Bremberg, as director of sales. Backed by extensive sales and senior management experience, Bremberg spent 17 years at IBM in a range of enterprise server and sales roles, having also worked for a leading Big Blue partner in the UK. According to White, Bremberg is responsible for developing go- to-market and sales strategies, creating new business opportunities and providing greater support for the existing customers in Australia, while working collaboratively with other business units to help global customers. For White, the addition of a sales director to the Australian team highlights the importance placed on achieving goals and deepening customer relationships. “I value the development of trusted relationships with clients and partners and look forward to working with a large ecosystem in the partner community to deliver value to our customers and their businesses,” Bremberg added. In offering an end-to-end service for the design, implementation and support of enterprise information systems, Meridian has evolved alongside an evolving industry, with technology disruption shifting traditional business models.